It's always more fun to DIY. Every week, we spare you a trip to the grocery store and show you how to make small batches of great foods at home. 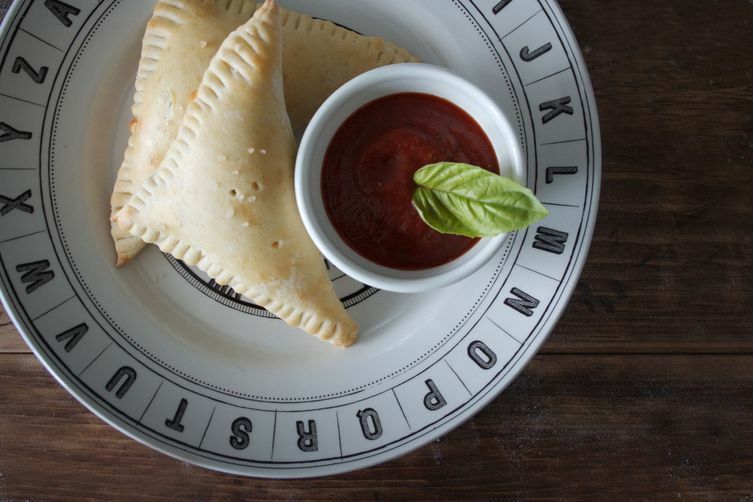 Today: Marcella DiLonardo of modest marce makes portable pizzas you're sure to get nostalgic over. 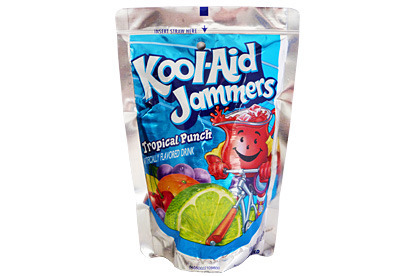 In the 90s, more often than not, you could find me sporting Sailor Moon pigtails, digging into pizza pockets, and washing them down with a Kool-Aid Jammer. The turnover-style pizza was one of my favorite lunches growing up (followed only by Dunkaroos) and remains one of my favorite nostalgic snacks. Since entering into the millenium though, I've veered from the pre-packaged variety and have mostly stuck with traditional, not-as-easily-transportable pizza. But when the craving struck for my favorite retro snack, I had to try to recreate them. More: DIY Dunkaroos are frostable fun. 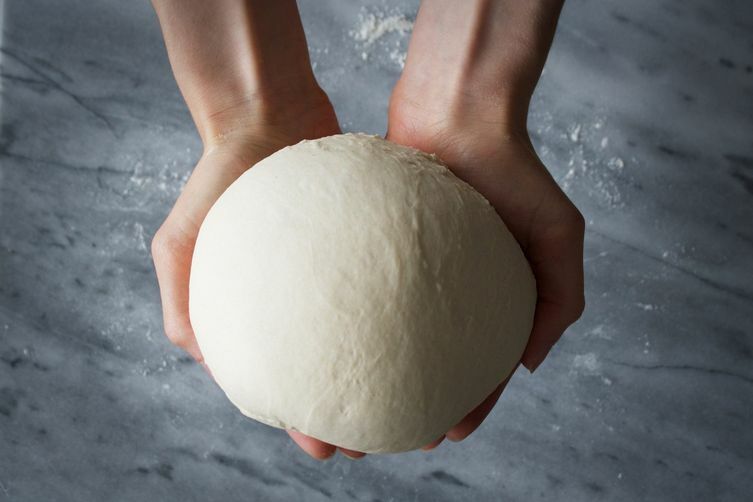 Begin by making the pizza dough. In the bowl of a stand mixer with the dough hook attachment, add water, yeast, olive oil, and salt. Let it stand for 5 minutes to allow the yeast to activate and become bubbly. With the mixer on low, add the flour 1 cup at a time until the dough begins to come together. 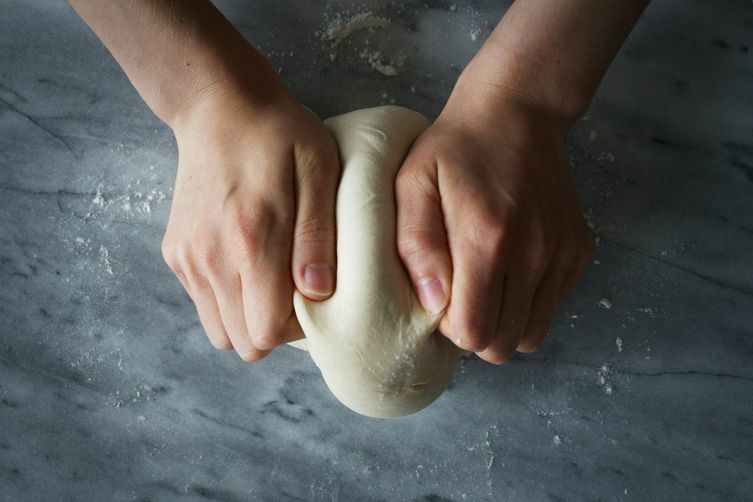 Raise the mixer to medium speed to knead the dough for 5 minutes. Once the dough becomes elastic and smooth in texture, transfer it to a greased bowl and drape a towel over the top of the bowl. Allow it to sit in a warm room for 1 hour, or until it doubles in size. 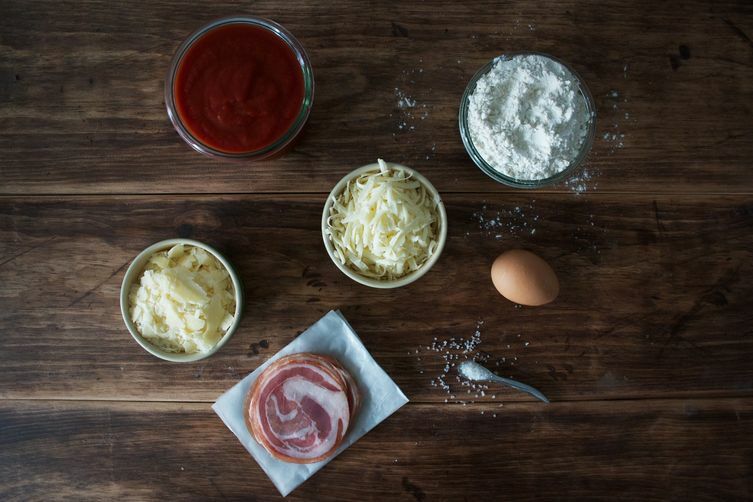 While the dough rises, prepare the rest of your ingredients. To make the sauce, blend the tomatoes, oregano, parsley, garlic, salt, pepper, and olive oil in a medium bowl. In a separate medium bowl, combine the grated mozzarella and Parmesan. Slice the pancetta (or other meat) into thin strips and set aside in a small bowl. Lastly, prepare the egg wash by beating the egg with 1 teaspoon water. 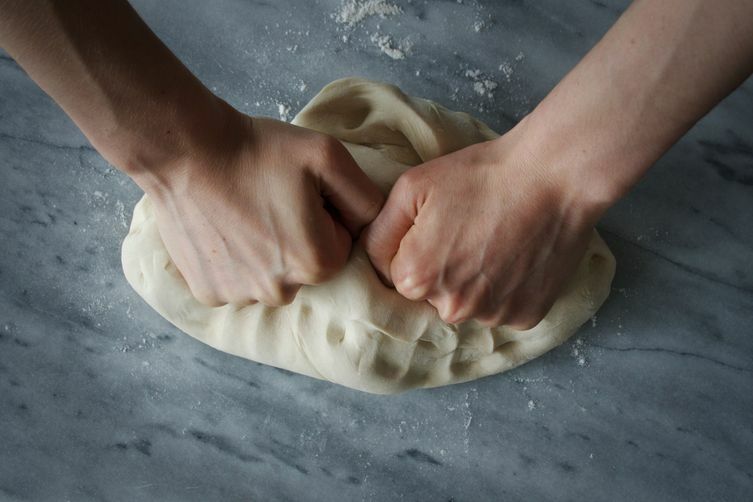 When the dough is ready, assemble the pizza pockets. 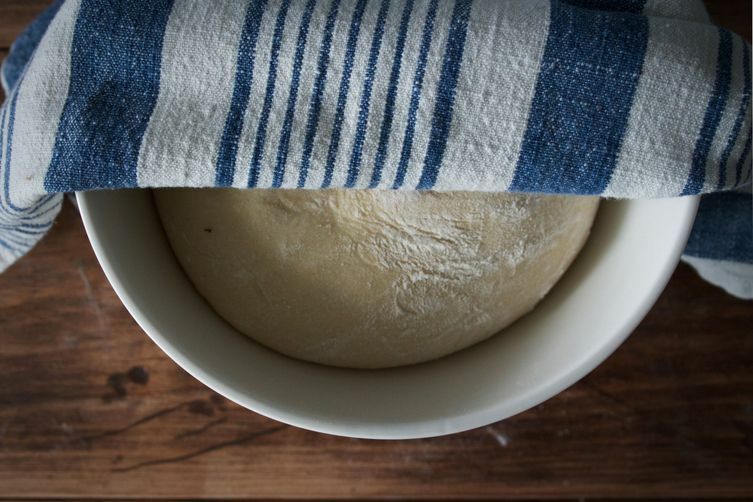 Start by rolling out the dough until it's between 1/4- and 1/2-centimeter thick. 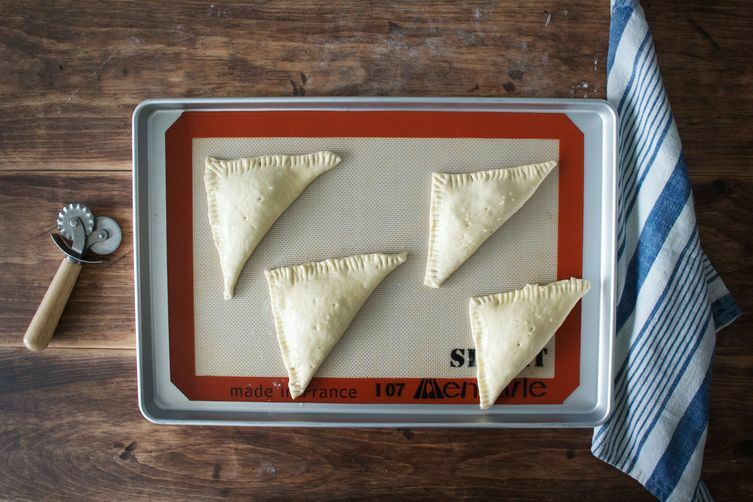 Using a pastry cutter or knife, cut the dough into 8 to 10 evenly-sized squares. In the center of each square, add 1 teaspoon of the following: tomato sauce, cheese, and pancetta. Divide the basil evenly over each. Brush the edges with the egg wash, fold in half diagonally into a triangle and seal the edges shut by pressing down with the tines of a fork. Brush the top with egg wash, sprinkle with sea salt and use a toothpick to poke 2 holes in each. 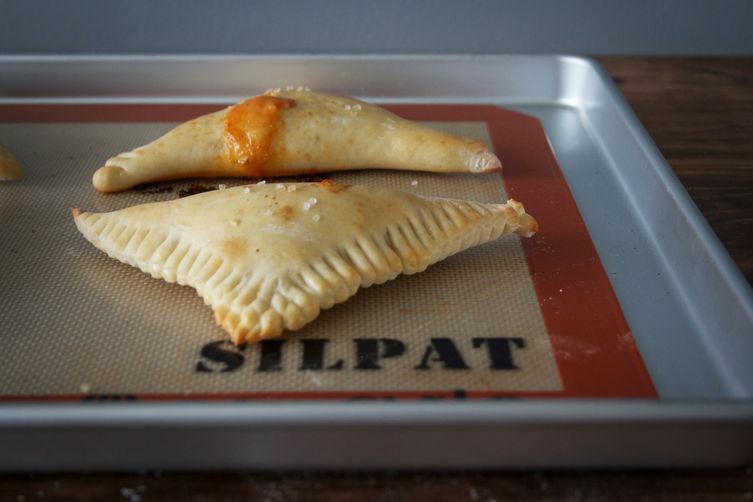 This last step will ensure the pizza pockets do not burst with cheese in the oven. Bake at 425° F for 12 to 15 minutes, until the edges are slightly brown and the top becomes a light golden color. Have any other nostalgic foods you'd like DIY recipes for? Tell us in the comments below! baker + blogger + city dweller | modesty is the best policy. OOh this looks great! I recently made pizza donuts, which were a hit. 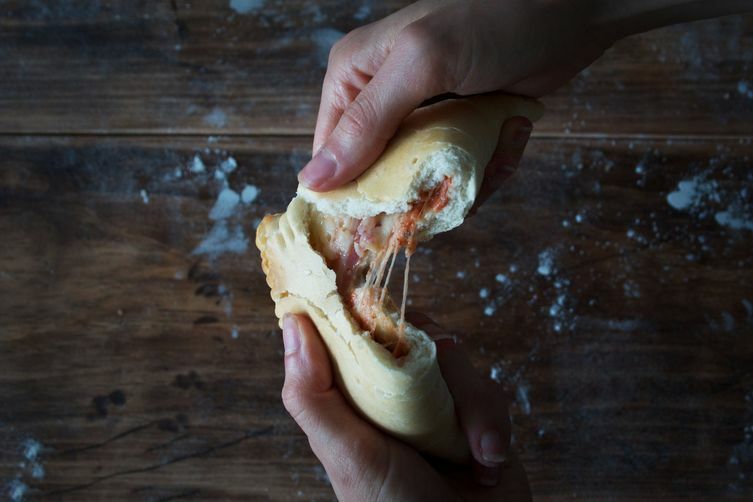 (http://www.hillreeves.com/home/2015/7/17/pizza-donuts) Definitely going to try these. Also, love that Backstreet Boys are almost part of the recipe. 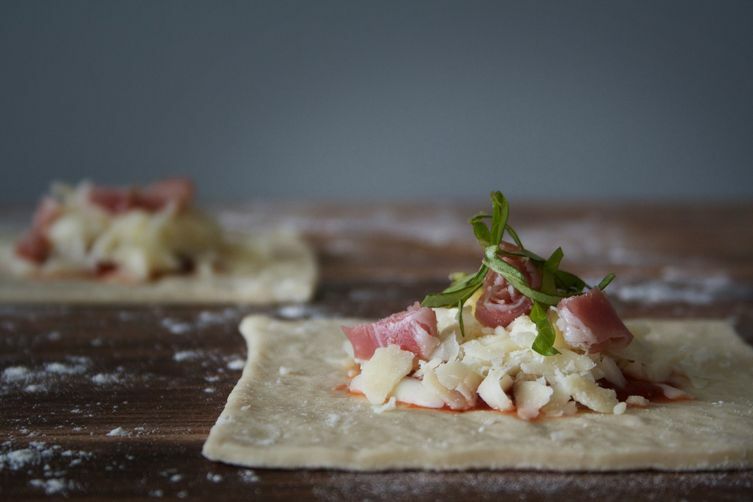 Not sure the relationship between stromboli and what you show here -- perhaps the slightly different format and greater filling to crust ratio makes them first cousins, not sisters -- in any event, here's my muffaletta-inspired take: https://food52.com/recipes/5209-mozzarella-prosciutto-and-olive-salad-stromboli ;o) P.S. I've never had a commercial pizza pocket so I don't know how these compare.